Perched in the foothills of the Sierra Nevada range, Donner Lake Village offers panoramic views of the mountains and the lakefront. 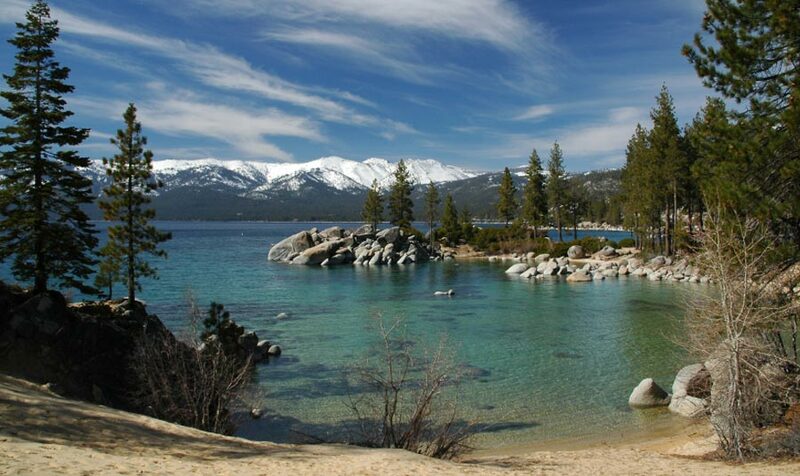 If you’re ready to plan the perfect Lake Tahoe vacation, book your stay at our scenic Truckee, CA resort to enjoy breathtaking beauty right on the water. Simply step outside to our onsite marina, and spend a sunny afternoon making a splash aboard a boat, behind a jet ski, or skimming the lake’s surface on water skis. Aside from fun in the sun, here are some other things to do in Truckee. Mountain biking – The slopes are perfect for skiing, but this is also a great place to pedal when it’s warmer. Northstar at Tahoe offers challenging terrain just a short drive from our resort. Cycle through more than 70 miles of well-manicured trails while you take in the gorgeous scenery. Museums – Truckee has a vibrant arts and culture scene for guests to explore. Take the kids to interact with exhibits and climb the Jungle Gym at the KidZone Museum. Head to the Emigrant Trail Museum in Donner Memorial State Park to learn more about the region’s storied past. Golf – Plan a serene golf getaway with several stunning courses in the area. Play 18 holes under the pine trees on lush rolling terrain with mountain views. Wine Tasting – Once you’ve biked, hiked, boated, and fished, kick back and relax with a wonderful glass of wine. Find wine tasting at several locally loved spots, including Truckee River Winery and Uncorked. Special events – Be sure to keep up with happenings in downtown Truckee to take part in special food and drink events like the Brew Fest and farmers markets. Learn about special events for shopping, arts and culture. Book your stay in the serene center of it all at www.donnerlakevillage.com.